J.G. Petrucci Co, Inc. and Iron Hill Construction Management donate $105,000 to support veterans, military personnel, and their families « J.G. Petrucci Company, Inc. 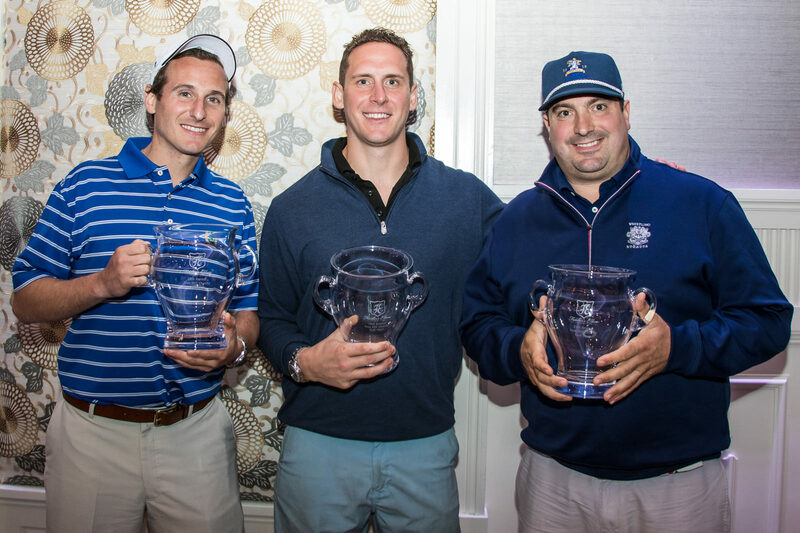 The event featured two of the country club’s premier golf courses, a delicious array of fresh farm to table selections, over $6,000.00 worth of prizes, and two notable guest speakers that shared the positive impact previous donations from the Iron Hill Charity Golf Open have made on their lives. 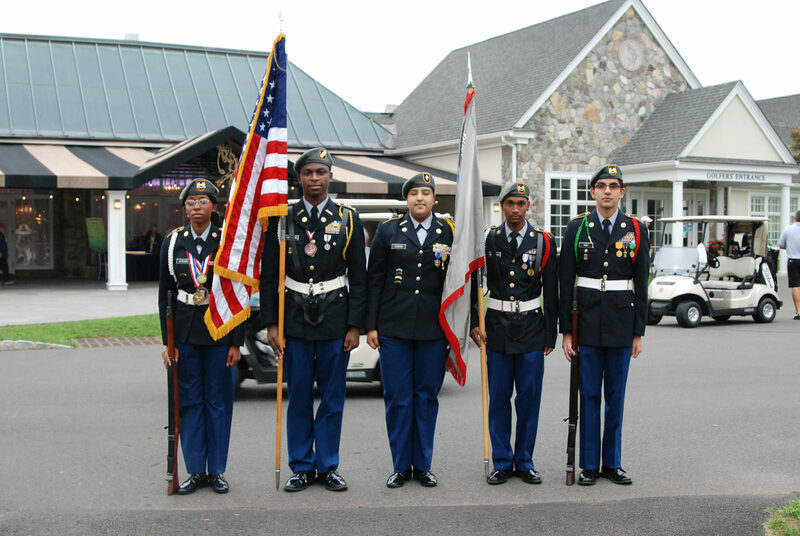 Foreign Policy Research and Development Institute’s, Lt. Gen. Bernard E. Trainor USMC Fellow, Ann Toews received her fellowship through the generous donations that were made at a previous Iron Hill Charity Golf Open. She is a veteran of the war in Afghanistan where she served with the 173rd Airborne Brigade. During her remarks, she shared the importance of her field research that was made possible by a previous donation made by the Iron Hill Charity Golf Open. In addition, she explained how her work is helping her brothers and sisters still in uniform stay well informed and prepared. 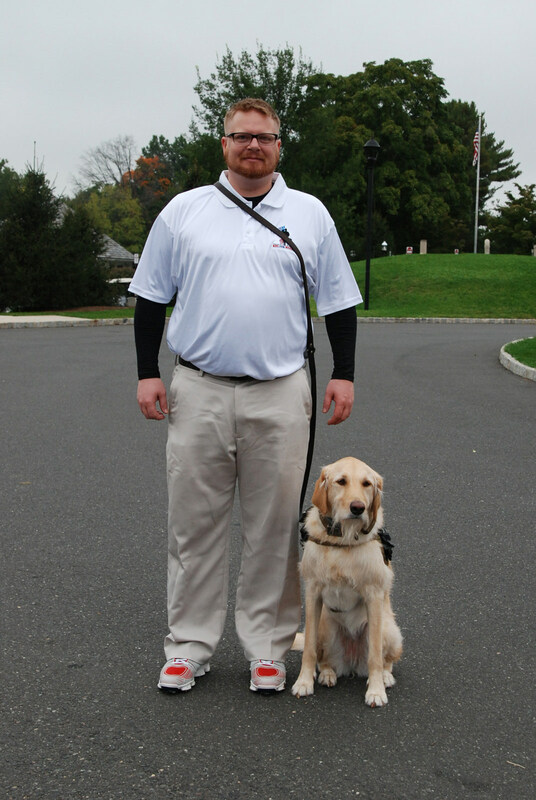 Adam LeGrand, a medic in the United States Air Force for 10 years, joined the golfers with his service dog, Molly. At the post-golf luncheon Molly helped Adam gain the courage to share his story about how he is now able to do so many things that he never thought were possible. For 15 years and counting, J.G. Petrucci and Iron Hill, have partnered with local construction and real estate professionals to raise money that supports the brave men and women who put their lives at risk to serve their country. 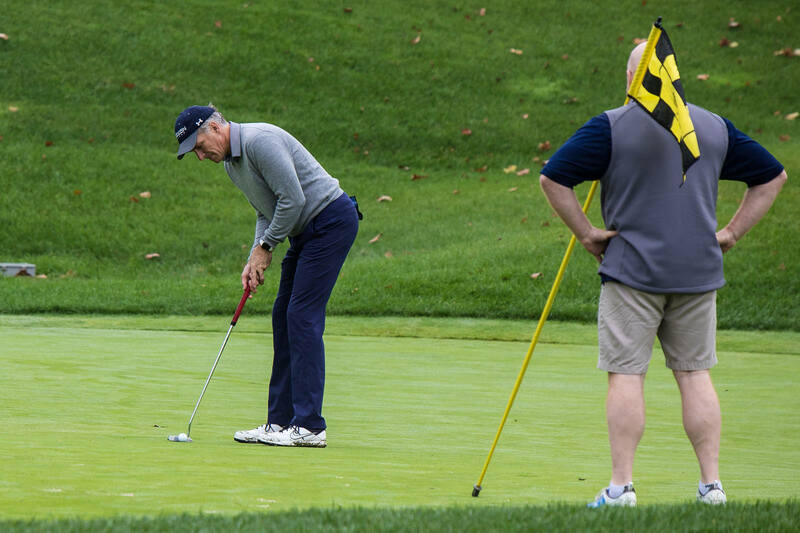 This year the 15th Annual Iron Hill Charity Golf Open presented donations to: Lehigh Valley Military Affairs Council, Community Hope for Veterans, and K9s for Warriors. 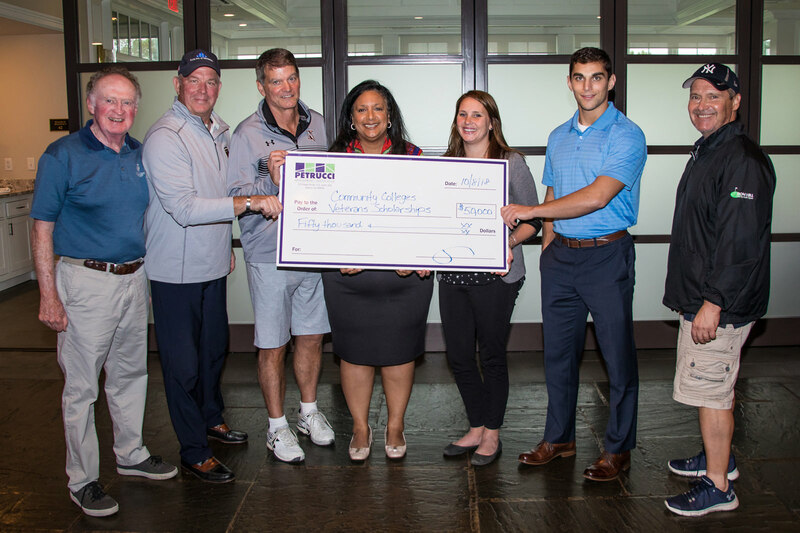 In addition, the tournament created a $50,000 Veteran Scholarship fund that will be distributed to Northampton Community College, Bucks County Community College, Union Community College, and Sussex Community College. Each school has a growing student veteran population and will be issuing scholarships that support the educational opportunities and goals for veteran and their families. 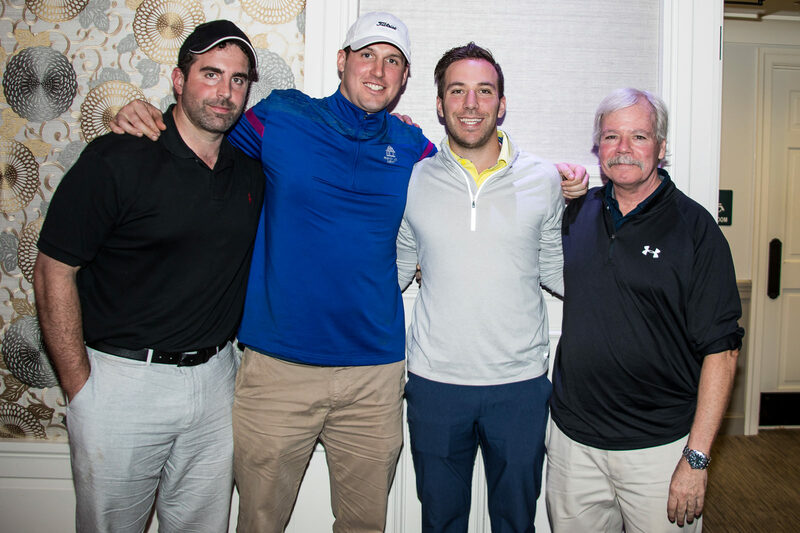 Thanks to the generosity of the event sponsors at the charity golf tournament, over $1M has been donated to many crucial organizations over the years. The veteran-focused non-profits were chosen on the basis of the well-respected work and support they offer to veterans, military personnel, and their families. 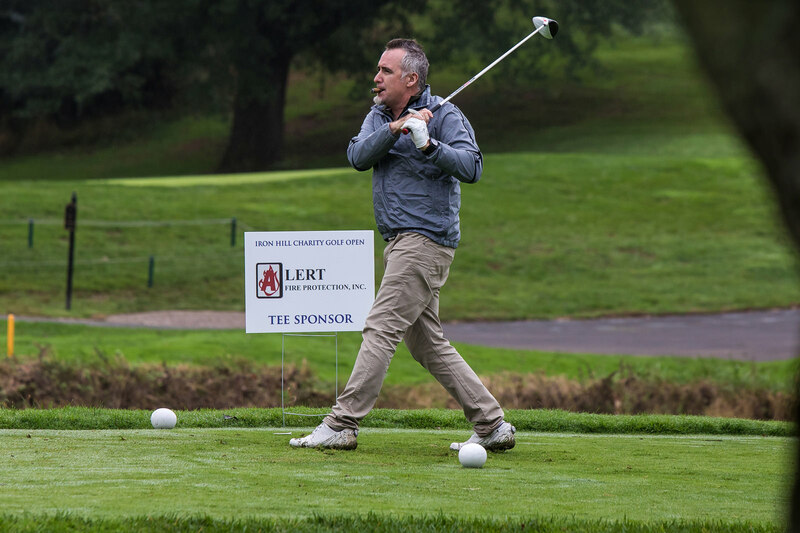 The 15th Annual Iron Hill Charity Golf Open has become a huge success thanks to the amazing event sponsors and in-house staff that come together and demonstrate that “Respond to the needs of the Community” is not just a line in the company’s leadership pledge, but how J.G. Petrucci and Iron Hill’s commitment to their communities extend well beyond their development, design/build, and construction projects.